The current trend in wind turbine development is towards higher power and lower cost per MW designs. Larger swept areas and rotor diameters enable increased output but also present design challenges. Since loads increase with the cube of the rotor diameter, greater loads can impact reliability and performance. 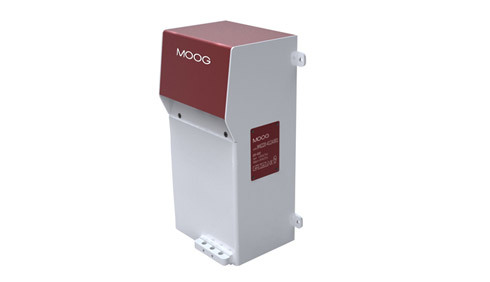 Moog has worked with leading blade and control system designers to develop a modular blade sensing system. Our proven fiber-optic load measurement system enables the fast and reliable development of individual pitch control for your turbine, minimizing your investment and time to market. In addition to increasing loads, the larger rotor diameter makes the turbine much more susceptible to variations in wind speed and intensity across the swept area, resulting in increased asymmetric loading on the turbine blades, main-shaft and other key structural components. These challenges can be overcome by designing the turbine with a Blade Sensing System, which dynamically adjusts the pitch of each blade in real time. This enables turbine designers and builders to balance the loading across the rotor disc, eliminate asymmetric loading and reduce the peak loads. Moog's Blade Sensing Systems has been proven to deliver significant benefits in design, manufacture and post-installation operation. The new MW class wind turbines from initial concept designed with the Moog Blade Sensing System for individual pitch control have experienced lower cost, higher reliability and more efficiency. The most successful systems are fully integrated and installed in the blades and control system during the manufacturing process.